On February 6, Tetrad stealthly delivered a Noble Mission filly with very little preamble and almost without warning. 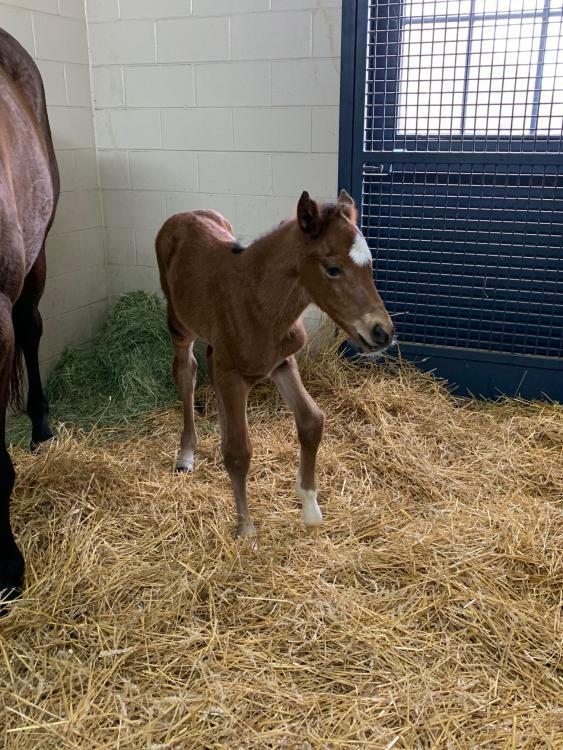 She showed none of the signs of going into labor (elevated temperature, shiny coat...) and then simply laid down and delivered the bay filly at about 10:40 PM. The birth was without incident and both Mom and the foal are doing fine. Two down; ten to go!